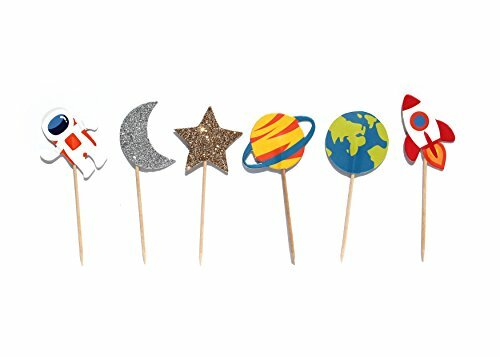 Decorate cupcakes and cakes with these cute toppers at your outer space party. The set includes astronauts, rockets, planets, and stars. Star and moon are embellished with gold and silver glitter. If you have any questions about this product by Merrilulu, contact us by completing and submitting the form below. If you are looking for a specif part number, please include it with your message. By Royal Icing Baking Supply Co.